Pioneers in the industry, we offer tilting model ribbon mixer, 5 ton ribbon mixer, double cone blending machine, ribbon u mixer, ribbon blender and ribbon mixer from India. Under the exemplary leadership and guidance of our expert professionals, we have been able to emerge as a trusted manufacturer and exporter of Tilting Model Ribbon Mixer. 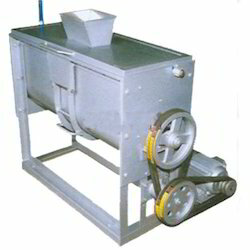 We manufacture this mixer machine in compliance with latest technology, using high quality cast iron and mild steel. 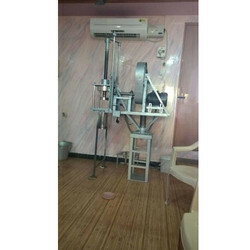 This machine is used for mixing ingredients in pharmaceutical and food industry. This Tilting Model Ribbon Mixer consists of U-vessel, ribbon blade and transmission parts. 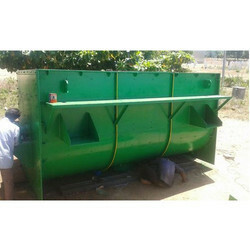 We are offering 5 Ton Ribbon Mixer to our clients. Sree Valsa Engineering Company is one of the leading manufacturer of all types ribbon mixer. 40 years experience in this field.Our range of products is very high quality & economical prices. We are offering Double Cone Blending Machine to our clients. For mixing two or more different powders into a homogeneous mixtures. The Gear Box is mode up of high rensile steel hardened to ensure long life work smoothly and noiselessly even in heavy load. We ensure a homogenous blending. Sree Valsa Engineering Company is engaged in the manufacturing and exporting of Ribbon U Mixer. We source quality raw materials from certified vendors of the market to manufacture these mixers as per international quality standards. 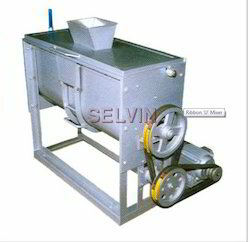 Ribbon 'U' Mixer is broadly used during the mixing of powder & dry granules. Appreciated for their smooth function, easy cleaning and negligible maintenance, clients can avail these mixers from us at feasible prices. Ribbon 'U' Mixer with a capacity from 50 Kgs,to 3 tonnes per bach(10-15 minutes) with 1 to 20 hp motors. We are offering Ribbon Blender to our clients. 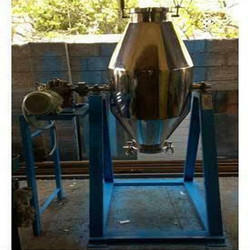 This is used for mixing various types of powder or grandulas in a large volume application. Catt;e feed, Masala, Chemical, Ayurveda, Pharmaceutical, Fire Brick, Ready Mix Manufactures. The Self designed ribbons helps the uniform mixing of the materials. We are offering Ribbon Mixer to our clients.